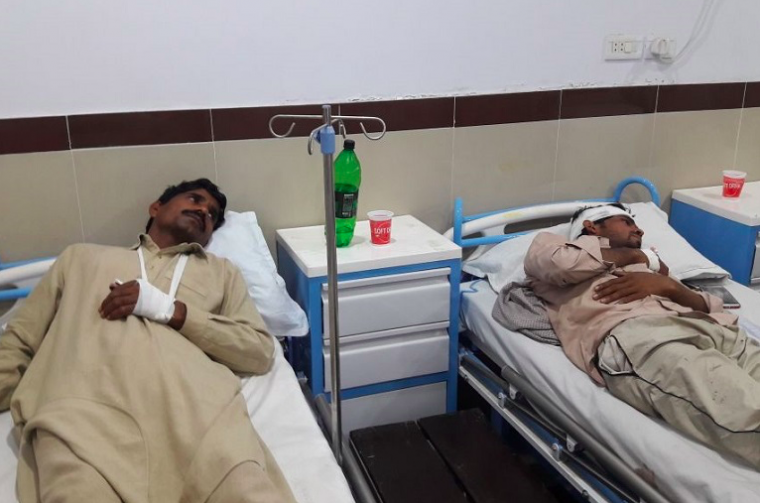 LAHORE, PAKISTAN (BosNewsLife)-- Pakistan police have detained a cleric accused of leading a mob trying to kill a Christian couple who allegedly desecrated the Koran, deemed a holy book Muslims. Police rescued the Christians from the crowd near the eastern city of Lahore this week in what was seen as a relatively unusual intervention in the heavily Islamic nation, where those accused of blasphemy are sometimes lynched on the spot. ABUJA, NIGERIA (BosNewsLife)-- Christians in Nigeria are mourning the death of a pastor's daughter who was killed when a church building was torched during "a vicious attack" on a village in Rogo Local Government Area of Kano State, Christians said. LAHORE, PAKISTAN (BosNewsLife)-- A Pakistani policeman used an axe to kill a suspect arrested on blasphemy allegations, a day after a mob murdered a Christian man and his pregnant wife for the same alleged crime, BosNewsLife learned Friday, November 7. LAHORE, PAKISTAN (BosNewsLife)-- A verdict was expected in Pakistan Monday, March 24, in a controversial case involving a young Christian man charged with blasphemy against Islam, which sparked one of the country's worst anti-Christian riots.